Michel A. Laflamme Architect, Nicole Milkovich Graphic Designer. 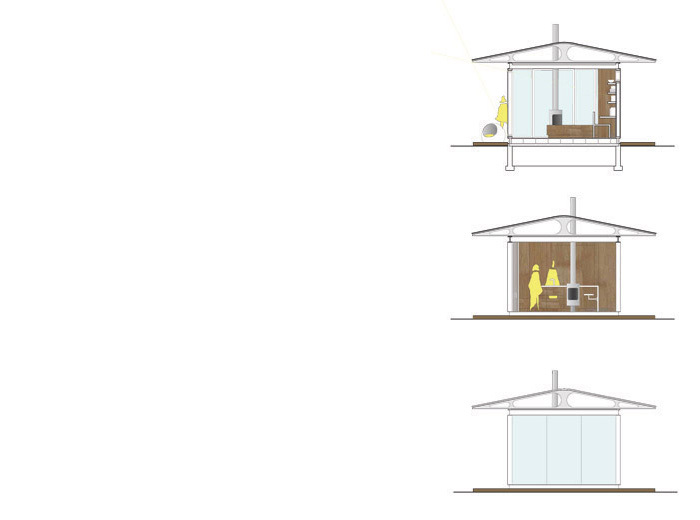 To design a freestanding, prefab unit of 400sf in an urban setting anywhere in the world. 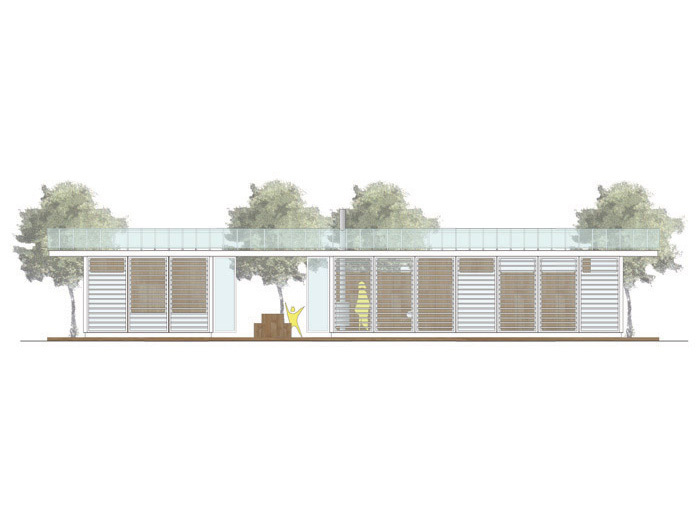 Solution: myPad, with its modular system is designed to adapt to contextual factors like views, density, privacy and climate- hence promoting uniqueness. 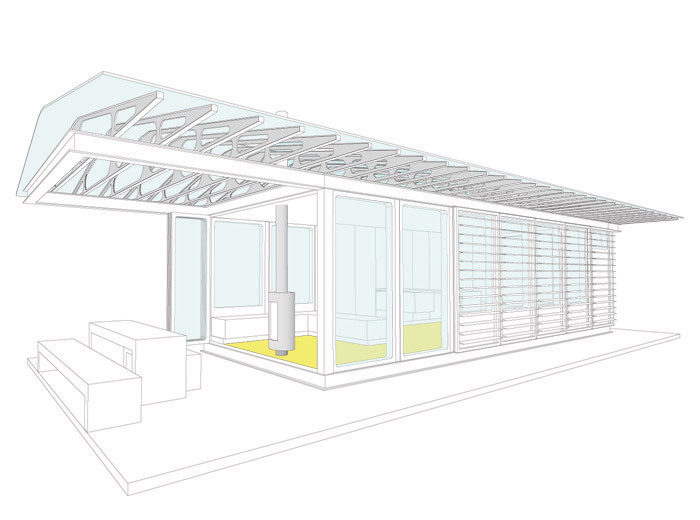 Our intent is to create an adaptable prefab unit that encourages interaction with its environment. 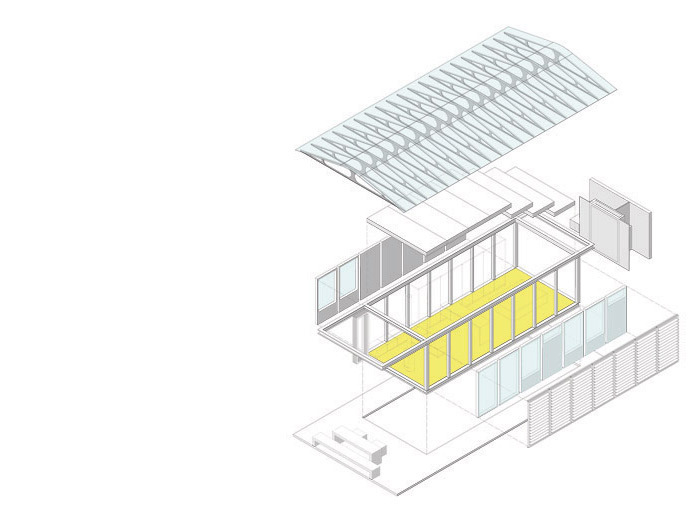 Availability of clear and solid panels encourages the owner to customize the unit to better respond to local conditions; generous translucent overhangs protect users and the unit itself against both sun and precipitation; optional louvers protect the inside against excessive heat and cold. During the design phase, myPad can be customized in size, according to fsr and budget. 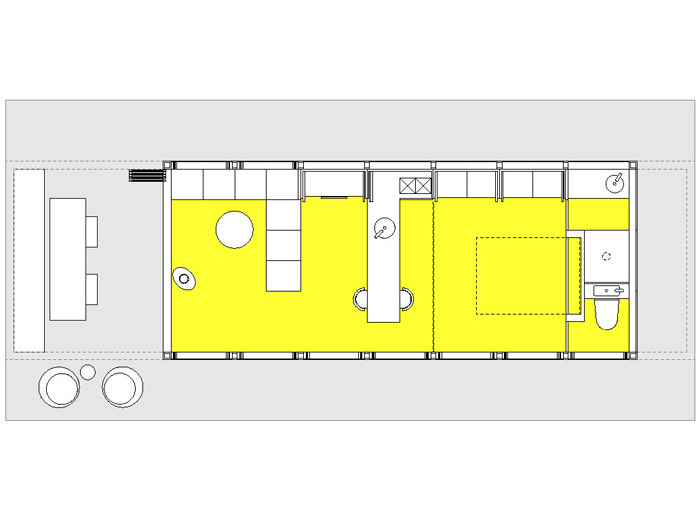 An additional module can be added and secondary roof extended to provide an extra bedroom/studio.